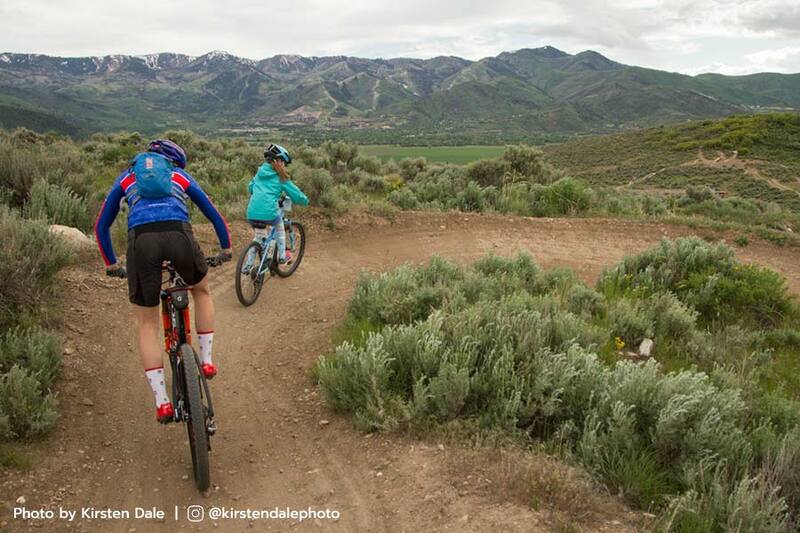 I grew up with Trailside Bike Bike Park in Park City, Utah – right out my backdoor. I’ve spent many evenings here chasing around a whole crew of boys that I raced and rode with all the time. 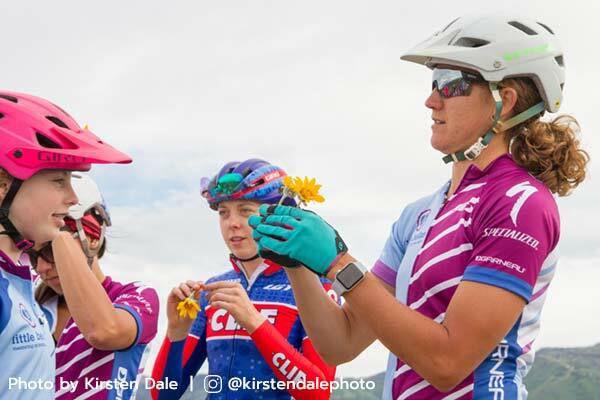 There is no doubt that this little group has been influential in helping me become the rider I am today, but there has been something special about the empowerment that I have experienced being surrounded by my Clif Pro Teammate’s passion, support, and capability. As time has gone by, my development as a mountain bike racer has progressed just as the park has also developed. 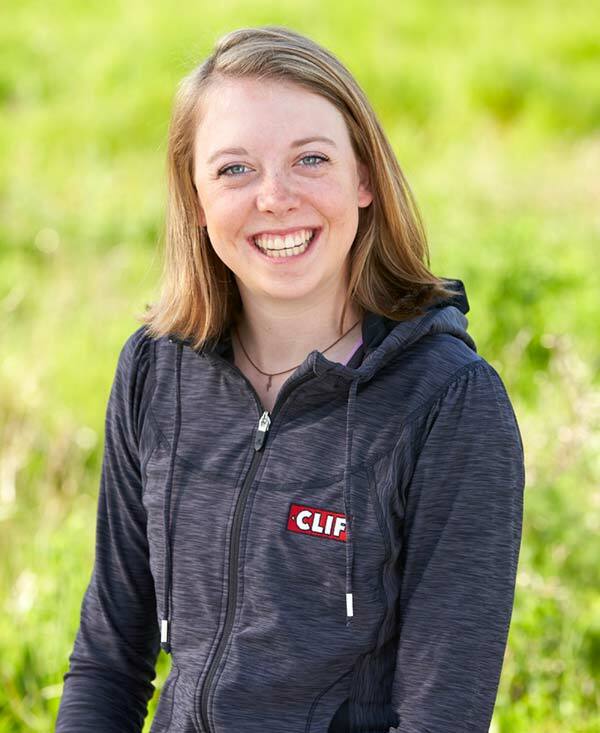 From a student at Trailside elementary to a young woman that has had the opportunity to chase my dreams and travel the world racing mountain bikes with seven powerful female mountain bikers on the Clif Pro Team. Recently, I was able to lend a helping hand for a couple days at the Little Bellas Spring Session. 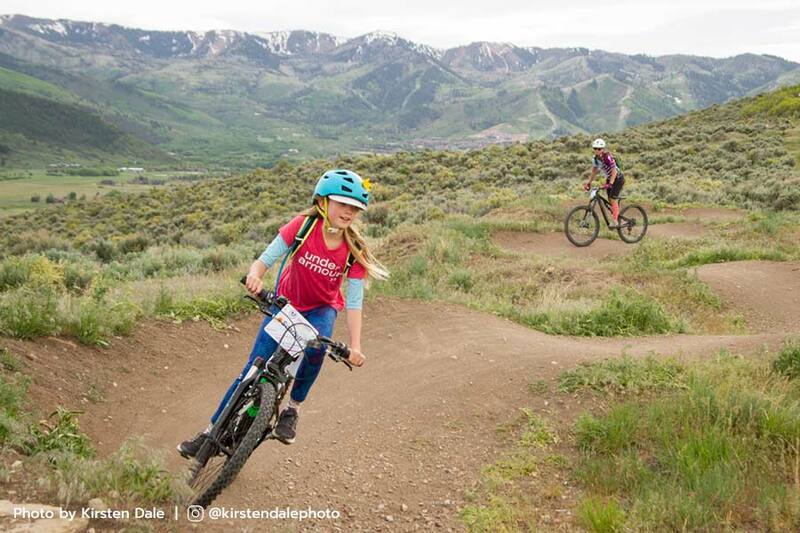 If you haven’t heard about Little Bellas, it’s a program that mentors and empowers girls ages seven through thirteen through the sport of mountain biking. This incredible program began in Vermont as a result of the passion and vision of Sabra and Lea Davison. I was a junior mentor two years ago when the Park City chapter was just getting started in 2016. The excitement, creativity, and community building of the program blew me away even then. To be reminded of this once again and to see how much the Little Bellas program has flourished in my hometown was really special for me. 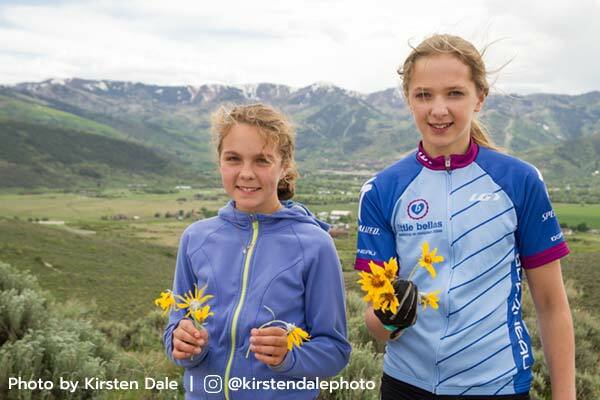 As I chased the girls all over the trails, I was able to witness their smiles as they conquered a new challenge; the joy that they shared with their peers; their growth in appreciation for the outdoors and its beauty. On one ride, right outside the bike park, there were lots of little rock sections throughout our route. At first, a few of the girls shouted “I hate rocks!” as they stiffly bounced over the rocky terrain. From then on, we made these rock sections a fun new challenge by giving the girls a positive outlook on these aspects of the trail. Each time there was another section, I would remind them to keep their arms and knees bent, their eyes up, and to be confident in their abilities. They became more and more excited about conquering their fears and giving their best effort every time they came across a rougher portion of the trail. Soon they were shouting “Look rocks!” and then rolling out of the section with smiles on their faces. When all the riders would re-group again, they would discuss the section, congratulating each other or giggling together as one tells a story about their miraculous save from almost falling over. By going on these little mountain bike adventures, everyone was able to build from their achievements by working through similar challenges as one. 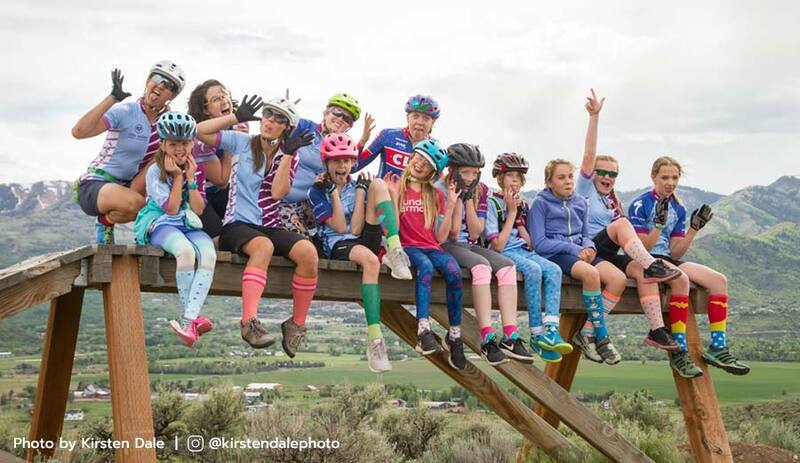 The rad group of Little Bellas mentors are able to share not only their passion for the sport, but also teach confidence, empowerment, teamwork, goal-setting, and how to live a healthy lifestyle through the program. The little ladies finished the last day of the session ready to tackle any challenge that lay ahead. All they wanted to do was ride lap after lap on the pump track, practicing their pumping and cornering skills, and ride the jump line as many times as they could. The park was filled with Little Bellas trying new wooden features or their favorite section of trail and practicing until they succeeded. They are never alone when they want to try something new and their effort is always followed with support from their mentors, a peer willing to give it a go right by their side, and supportive cheers from everyone nearby. Little Bellas shows young girls that they ARE capable and that they CAN do absolutely anything. Little Bellas was started in 2007 by Lea Davison, Sabra Davison, and Angela Irvine. 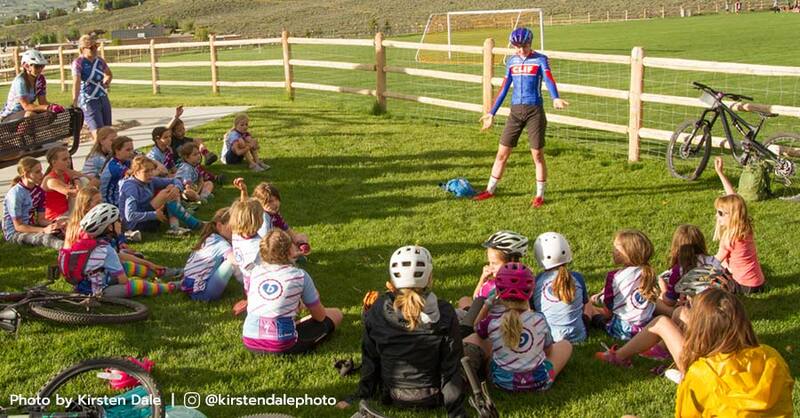 Clinics for young women mountain bikers are offered in several states across the U.S. Visit the Little Bellas web site for locations and dates. To finish the day of riding, I did a pro question and answer with the whole group. As I stood with all those little faces and glowing eyes looking up at me, I realized that as a young girl, I was just like them. I would ride down these exact trails on my little wheels with the wind in my hair and the biggest smile on my face. I looked up to so many inspiring female athletes and only hoped to follow in their footsteps. If I could only tell that “little me” someday those role models would become my teammates. 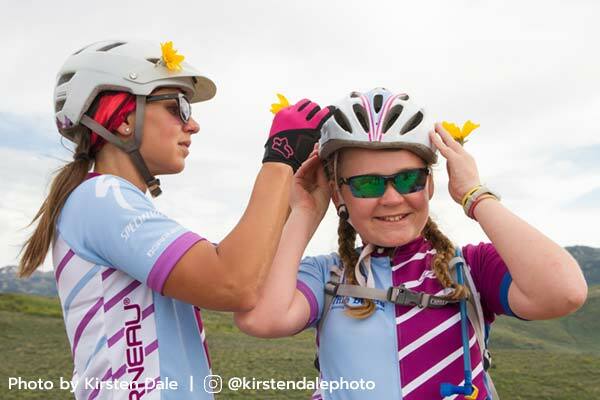 Mountain biking has had a huge impact on my life, and I see a little of myself in those girls as they are just starting on the life journey of their choice. That day at Little Bellas, I took on a role I never have before and a role that I previously never felt worthy of holding. I have transformed from the girl filled with wonder looking up to the pros. I race my bike and chase my passion and I’ve realized others were interested in following my journey. I hope that I was able to inspire some of them with my story which began in such a similar way as theirs. I feel grateful for teaching me that by becoming a role model, I can help them in the pursuit of finding their passion. More than anything, I am thankful to have witnessed the impact that this program is having on so many young women. Unlike them, most of the time I wasn’t following another girl my age down the trail. Little Bellas is changing that. They are growing the community of outdoor, active girls – and that is something really special. Women inspiring and supporting each other will have a positive impact on this world. And, after feeling that I have been at both the giving and receiving end, I just can’t get enough of it. So, the best way I can think of to properly close is to say thank you. Thank you to all women out there that have inspired others to chase their dreams by leading the way. Thank you for guiding me to become a role model so that I can help empower more young women to someday to the same. Thank you to Little Bellas for providing a platform to empower young women and grow the community in a way that has never been done before. 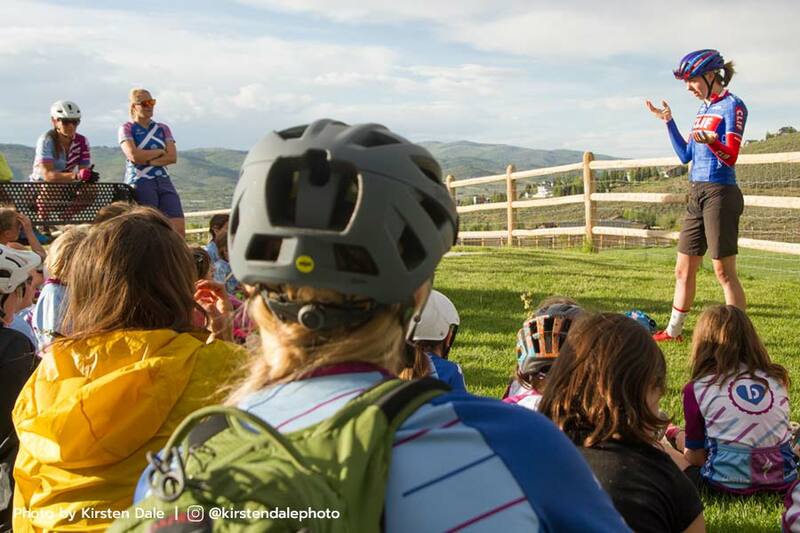 I am a professional mountain bike racer from Park City, Utah. Biking has always been a very important aspect of my family’s life. My parents would bring my younger brother and I on incredible trips to explore and commute by bike, all over the U.S. and in Europe. I learned to appreciate the joy and freedom that mountain biking provides, and soon riding and racing became one of my greatest passions. Now, at 19 years old, I have had the opportunity to travel all over the world to chase my dreams. Along the way I have met amazing people and received so much support from my community. I am currently attending Quest University in Squamish, Canada and am really enjoying the new experiences and challenges of balancing being a student and an athlete. 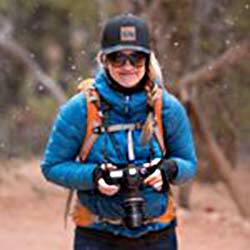 Kirsten is from Missoula, Montana where she attended the Rocky Mountain School of Photography. Drawn to the beauty of the natural world and the adventure of travel, she is often found exploring by foot, board, or bike with her camera in tow.